What was the relationship between Jesus and the law? Did He do away with God’s commandments? Did He then give a new commandment that replaced those laws? Jesus magnified the law in His Sermon on the Mount. What did Jesus really say about the law? 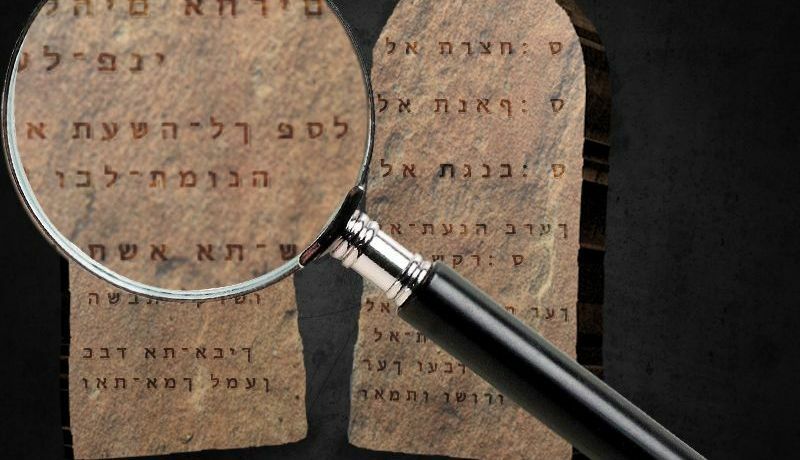 How do His comments about God’s law relate to a new commandment? And what does the Sermon on the Mount tell us about Jesus and the law? Early on in the Sermon on the Mount Jesus Christ said, “Do not think that I came to destroy the Law or the Prophets. I did not come to destroy but to fulfill” (Matthew 5:17). He asserted that not even something as small as an accent mark in the written law would be changed until heaven and earth pass away (verse 18)—and that is a long time! In other words, since heaven and earth continue to exist, the law remains unchanged and will continue to be in effect. But what about Jesus’ comments about a “new commandment”? Here is what He said: “A new commandment I give to you, that you love one another; as I have loved you, that you also love one another. By this all will know that you are My disciples, if you have love for one another” (John 13:34-35). Confusion begins when some conclude that demonstrating love replaces keeping God’s law. These people apparently fail to understand that God’s law is a law of love. Jesus explained that love can be expressed in two great commandments—love toward God and love toward your neighbor (Matthew 22:36-39). The way we love God is explained by the first four commandments (Exodus 20:1-11). The way we love our neighbor is explained by the last six commandments (verses 12-17). Thus, Jesus summarized the 10 Commandments under two great summary laws: love God and love your neighbor. Jesus did not teach that the 10 Commandments were done away but that they are grouped under two great laws. When Jesus said that He fulfilled the law (Matthew 5:17), what did He mean? The word translated fulfill means to “make full, to fill up and to fill to the full” (Thayer’s Greek-English Lexicon). In the remainder of the Sermon on the Mount, Jesus illuminated the meaning of the law. He revealed its spiritual purpose and intent. For example, in magnifying the Seventh Commandment Jesus stated, “You have heard that it was said to those of old, ‘You shall not commit adultery.’ But I say to you that whoever looks at a woman to lust for her has already committed adultery with her in his heart” (Matthew 5:27-28, emphasis added throughout). By saying this, Jesus magnified the law against adultery—a lingering, lustful thought breaks the commandment as much as the actual act does. In the Sermon on the Mount Jesus explained that the commandments speak to our innermost thoughts in addition to our actions—because thoughts are the doorway to actions. In the same section of Scripture He magnified the Sixth Commandment that forbids murder by explaining that His disciples should not even harbor hateful attitudes and demeaning thoughts about another person (Matthew 5:21-22). Instead of doing away with or replacing God’s laws, Jesus affirmed the law, stated His commitment to it and built His sermon on that foundation. He had strong words for any who claimed to worship Him and failed to obey God’s commandments. What is clear about Jesus’ teaching is the intensity He gave to loving God. He brought forward the teaching of the Old Testament to love Him “with all your heart, with all your soul, and with all your strength” (Deuteronomy 6:5). At the same time, we are to love our neighbor as we love ourselves (Matthew 22:39). Instead of doing away with or replacing God’s laws, Jesus affirmed the law, stated His commitment to it and built His sermon on that foundation. He had strong words for any who claimed to worship Him and failed to obey God’s commandments. Everyone who desires to have a relationship with Jesus Christ must practice what He taught. “Not everyone who says to Me, ‘Lord, Lord,’ shall enter the kingdom of heaven, but he who does the will of My Father in heaven. Many will say to Me in that day, ‘Lord, Lord …’ And then I will declare to them, ‘I never knew you; depart from Me, you who practice lawlessness!’” (Matthew 7:21-23). Throughout His ministry Jesus taught the importance of God’s commandments. Christ said, “If you want to enter into [eternal] life, keep the commandments.” He made sure everyone knew He meant the 10 Commandments by naming several of them in this passage of Scripture (Matthew 19:16-19). After His death and resurrection, Jesus’ apostles also taught the necessity of keeping the commandments. John stated that keeping God’s law is one of the identifying characteristics of a Christian. “Now by this we know that we know Him, if we keep His commandments. He who says, ‘I know Him,’ and does not keep His commandments, is a liar, and the truth is not in him” (1 John 2:3-4). In the Sermon on the Mount, Jesus upheld the commandments and magnified their application and intent. Understanding the commandments and obeying them is the basis for a relationship with Christ. It begins with repentance and accepting Christ as Savior. Repentance means understanding that we have done wrong and that we are truly sorry for having broken God’s laws. Paul said that having knowledge of the commandments brings an awareness of what sin is (Romans 7:7). The apostle John defines sin as breaking or not keeping the commandments (1 John 3:4). Each person needs to repent of sin and follow the words of Jesus Christ. So, how does one repent? Download our free booklet Change Your Life!